Watch this clip featuring a track by Calgarian chamber-folk-art-rock practicioners, and one of my favourite Canadian bands Raleigh. It’s “It Will Rise”, the closing track to their 2013 record, Sun Grenades & Grenadine Skies, their second. The band is comprised of Clea Anaïs on vocals, cello and keyboards, Brock Gieger on guitar and vocals, and Matt Doherty on drums. The music is nearly impossible to pin down in terms of a single genre, incorporating folk, chamber pop, ambient, and jazz. But, their sound is anchored by the intertwined voices of the two vocalists Anaïs and Gieger, and the polyrhythmic approach that Doherty takes behind the kit. 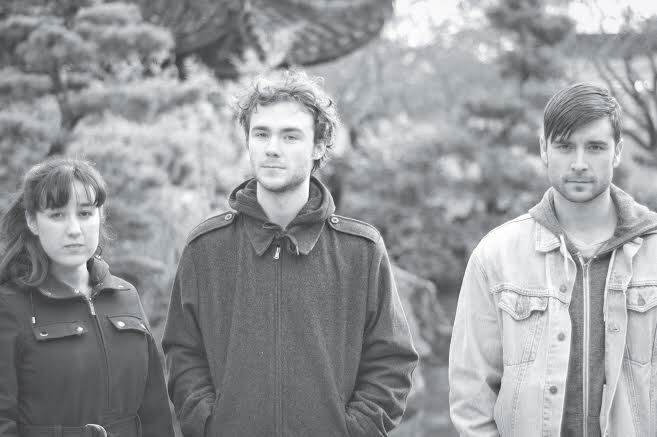 When they released their debut record New Times In Black And White in 2011, I got to talk to Brock and Clea. This was around the time they took to the road to tour Canada. Now, with the release of this album, they’re about to take another tour to Europe. And I got to speak to Brock Geiger again recently via email, about the new record, about the making of this track and video, and about taking to the road across the ocean, too. Here’s what he said. The Delete Bin : Let’s talk about the video for this song “It Will Rise”. How was the idea for it worked up, and what was it like to film it? Clea and I wanted to make sure it was going to be visually striking, so we spiffed up that idea by renting all of the cylindrical fluorescent bulbs, and got glow in the dark makeup, and Clea even wore a dress made of blown glass. DB: The song itself really typifies your sound; unexpected shifts in direction, but also organic and not jarring. Tell me about the process of pulling together what could be considered fairly disparate musical threads in one song. BG: This song started as a pretty simplified guitar line I was messing around with for a week on my own. I must have played it at a jam and we all took off on adding parts. We liked the concept of each verse rotation building towards the sort of grandiose ending and I think the odd meter time we are playing with lends itself well to that idea of gradually adding density and intensity. DB: One of my favourite aspects of the arrangement are the horns. They add real warmth and texture, and elevates the whole song, particularly the outro. Tell me a bit about the process of arranging them. BG: We had a good idea of where we wanted horns on each song before we landed in the studio. We still perform as a trio without the horns, so we did some playing around in rehearsal and recording some demos, deciding where the additions would be effective. Both horn players came as recommendations from Howard in Montreal, and it really only took a couple hours to have them nailing the parts. DB: What about the lyrics to this song? They help to bolster the atmosphere of the song with an impressionistic approach that lets the listener fill in the blanks a bit. How did you approach the lyric writing between the three of you? BG: All of the lyrics on the album are written by Clea and I. There’s a few songs where they are written individually, but a number of them are written together while we are working on the musical arrangements. For ‘It Will Rise,’ we chose a subject for the song and then Clea wrote verses and I wrote the repetitive chorus. It’s about a trip we took with some friends a couple years ago. We camped out near Lake Louise in the middle of the summer and went off in to the forest on a sort of unmarked- trail hike. We wandered around for hours and eventually ended up at this amazing lake in the middle of the mountains. We all sat there and watched the moon rise. DB: Another thing this song, and others on the new record, manages to do is to be musically complex, but also retain something of a pop sensibility, too. What musical anchors do you turn to in order strike this balance? BG: Between the three of us, our listening catalog is pretty diverse. Some of our favourites we were listening to a lot on this last tour were: Unknown Mortal Orchestra, Vijay Iyer, the Intelligence, Hooded Fang, Morphine. The list goes on and on really. I think the musical complexity comes from us wanting to challenge the idea of what “pop music” can be, as well as keeping it interesting and fun for ourselves to play every night on the road. DB: Let’s talk about how the whole record was put together. How did the experience of putting together your debut help you build momentum for this follow up? I think the more recording sessions we’re each involved in, the more we realize each is its own thing and they are typically very different from each other. The most important choice we made was picking a studio that was going to be an inspiring environment to work in for two weeks solid, and work with people that were equally excited and invested in the project. The momentum we built towards making the record came more from touring than from recording the last album. We toured the first record for about a year on and off, and were working the new songs into the set more and more every night to the point that we were playing nearly all new material on a tour for an old album. I think that’s when we decided we were ready to get back in the studio. DB: Everyone in the band is involved in other musical projects, too. What kinds of creative interplay is there between those projects when it comes to songwriting or live presentation? BG: Clea and I play in the Dojo Workhorse, and Matt and I also play in The Dudes. It’s fun to have a variety of musical outlets for sure. 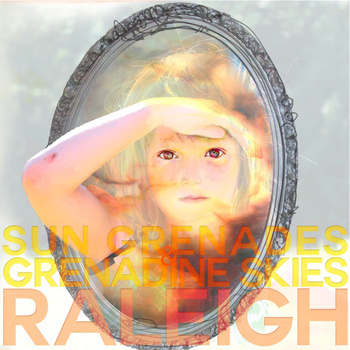 Raleigh sort of stands out for me in a way because it feels less limited stylistically and I really enjoy pushing for weird sounds, and screwed up arrangements and when it works and people can connect to that it is pretty rewarding. DB: You’re about to go on a tour of Europe after completing a Canadian tour this past December. How has the former tour helped you prepare for this upcoming one? BG: Our last Canadian tour was a real success. We packed in twenty-four shows in twenty-nine days, coast to coast. That was our fourth time touring Canada and it will be our first time getting to Europe with Raleigh. Having just toured Canada definitely gives us something to push forward in to the next tour, and it’s helped keep a bit of attention on the new record. There’s moments when playing every night for a month straight is a bit intimidating, but every show is different and that keeps up the excitement for sure. DB: What are some of the cities you’ll hit, and which ones are you most looking forward to? It’s our first time touring overseas, and we couldn’t be more excited. It’s a week of shows in the UK, followed by three weeks of shows through Germany. I’ve heard Edinburgh is beautiful as well as the north shore of Germany. We play the Union Chapel in London (January 25), and I think that will be pretty amazing. For more information about Raleigh, check out Raleigh-sound.com. Also, join them on Facebook too. You can buy Sun Grenades & Grenadine Skies here.